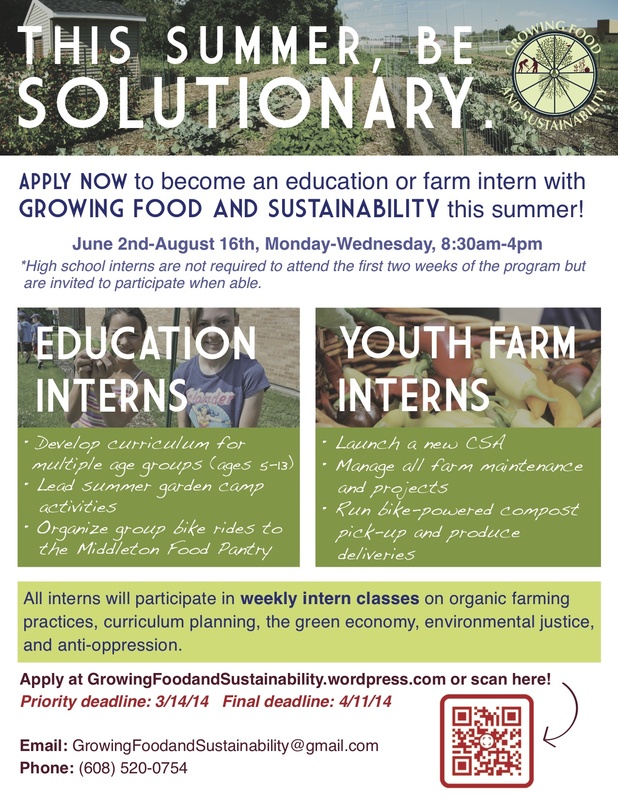 This is Gabrielle reporting in as Growing Food and Sustainability’s Youth Farm Director (if you don’t know us yet, we’re a Summer of Solutions program and Local Initiative in Middleton, WI). 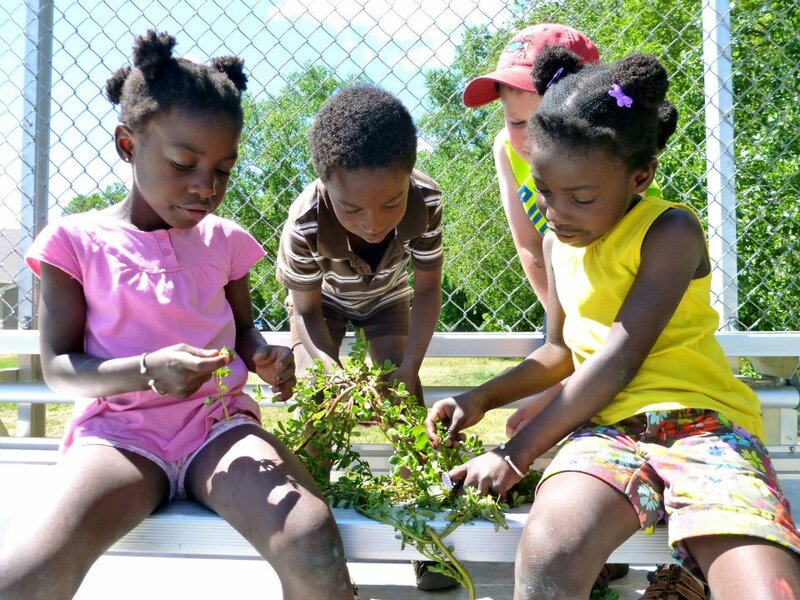 A big goal of ours is to provide fresh, local produce to the Middleton community. To that end, we have donated over 2,500 pounds of produce to the MOM Food Pantry (all by bike trailer!) in the past two growing seasons. We also love donating our produce to other good causes, like the Middleton High School Ecology Club’s Annual Organic Dinner! 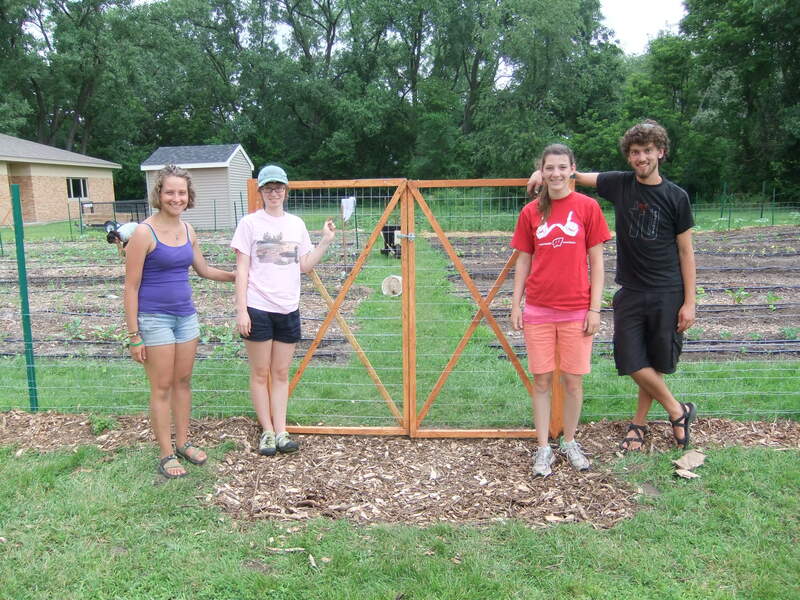 It’s been a very productive week here at Growing Food and Sustainability. We finally finished our fence. That means no more rabbits nibbling our plants! The proud construction team with the completed fence!